Ole Canuteson was born September 4, 1832 on the island of Karmoy in Norway. In 1842, Cleng Peerson visited Norway and met with Ole’s father to encourage him to bring the Canuteson family to America. 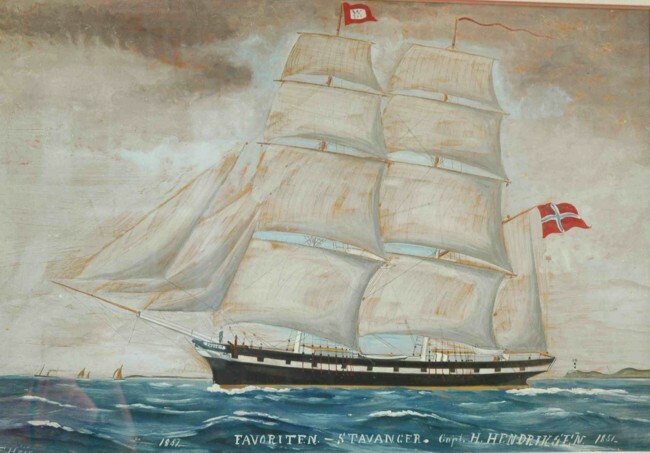 When Ole was seventeen years old, the family sailed aboard the ship Favoriten from Stravanger and arrived in New York City on June 26, 1850. Sadly, his mother died due to a terrible cholera outbreak afflicting many people on the ship and in the ports along the way. The family first settled in Illinois but their wealth was not such as to allow them the farmland they wanted so plans were in the works to move to Iowa when their old friend Cleng Peerson convinced the Canutesons that Texas was the best place for them. Fertile land was attainable at fifty cents per acre. Along with a group of other Norwegians, the Canutesons came down the Mississippi River to New Orleans and then westward up the Red River to Shreveport where they got into wagons and traveled to Dallas. They temporarily found lodging and began shopping for land. Ole bought himself 320 acres just north of present-day Lancaster. There he lived for a couple years until a new wave of Norwegian immigrants entered Texas, again through New Orleans. In hopes of finding enough land for all the newcomers, Canuteson set off via horseback southwest. First, he stopped at Fort Graham(present day Whitney). Then, he crossed the Brazos and reached the Bosque River which he found to be inviting so determined to locate property along it if such property could be found to be suitable for settlement. Canuteson took a break from exploring and went to Waco where he consulted with George Erath to get advice about land along the Bosque. Along with Erath and Neil McLennan, Canuteson returned to the Bosque and surveyed some property along Neill’s and Meridian Creeks just off the river. Ole Canuteson had found his settlement. He set aside 300 acres for himself in a valley with a hill. Atop the hill(known as Norman’s Hill), he built his home using a whipsaw and next to it, a post office for which he served as postmaster for many years. Several other Norwegians, including Canuteson’s father, also established homesteads nearby and the fledgling community became known as Norse. Being west of the nearest forts, it was common for native Americans to raid the homes of the settlers in those early years. Canuteson became a Captain of the Texas Rangers under George Erath for the purpose of preventing Indian raids in the area. Much of the Norse community took up work as wheat farmers and proved successful. Early on, they would cut their wheat with a cradle and lay it out by the stomping of horses. It didn’t take long for this to grow old so Canuteson went to Dallas where he purchased parts of old threshing machines, put them together with a few new innovations, and brought it back to his village making his and his neighbors’ labors much more efficient. Then, the people began to ask about getting a reaper. Distance to the nearest shops was too far so Canuteson set about building his own out of wood(steel supplies were too expensive and too distant). Old saws and other tools were refashioned to fit the new machine and it turned out well, cutting grain for years. When the Civil War broke out, Canuteson was against the Confederacy cause so did not enlist but did agree to provide grain for the Army on the grounds that his neighbors shouldn’t starve, even if they were foolish enough to leave the Union. 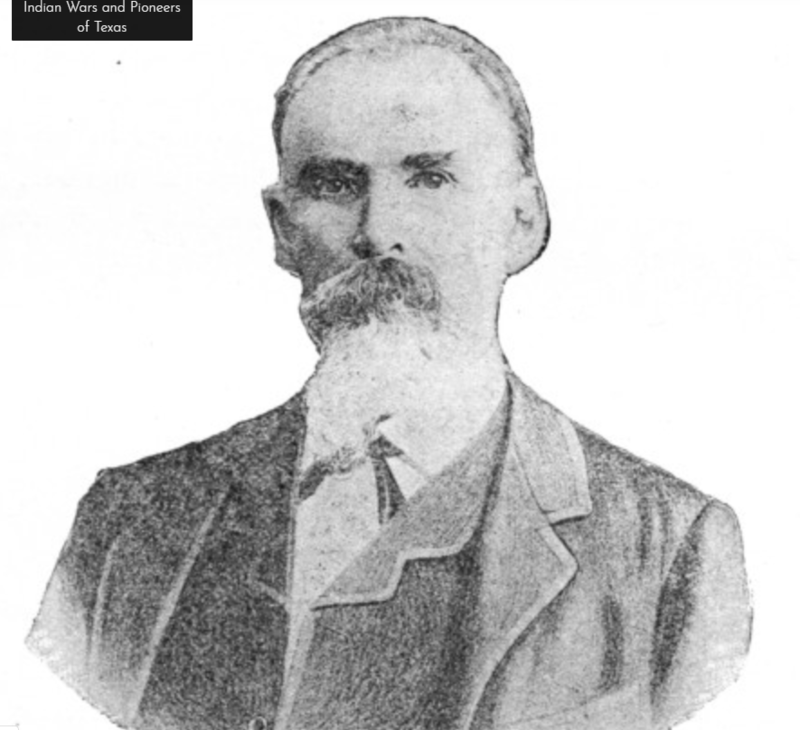 He unsuccessfully entered the cattle business but on a trip to Chicago to sell some cows, he purchased more machinery for grain production and returned to central Texas ready to outproduce anyone in the state. 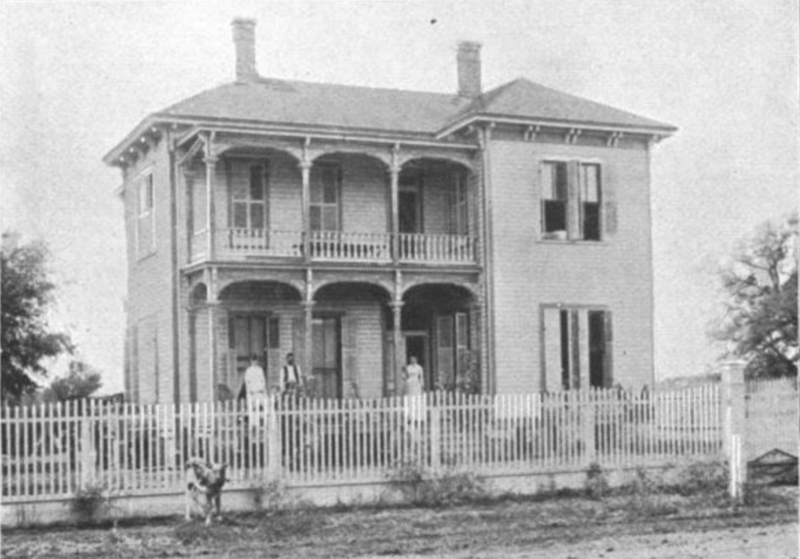 Having had success making machines with very little resources, Canuteson moved to Waco where he opened a machinery shop at the end of Franklin Avenue on the Brazos. His was the first iron and brass moulding products in central Texas. For several years, he made machines of all kinds for Texans in his downtown Waco shop but eventually returned to a focus on farming implements. He erected a massive two-story mill for the Reader Brothers who hired him as superintendent of their Norway Mill Company, located near Canuteson’s old homestead in Norse. A town quickly sprouted up around the mill and it was first known as Norway Mills. After a few successful years, Canuteson sold his interest in the business back to the Readers. In 1876, he went to the Centennial Expedition in Philadelphia, the first World’s Fair in the United States, and then to a number of other major American cities where he studied the machines of various companies and inventors all along the way. In 1884, Canuteson made a trip to his native Norway so he could once again see the marvelous landscapes that filled his childhood memories. He spent two months there before returning to the U.S.
Never setting loose of his shop in downtown Waco, Canuteson came back to town and continued to grow the business and make implements for farmers all over the state. 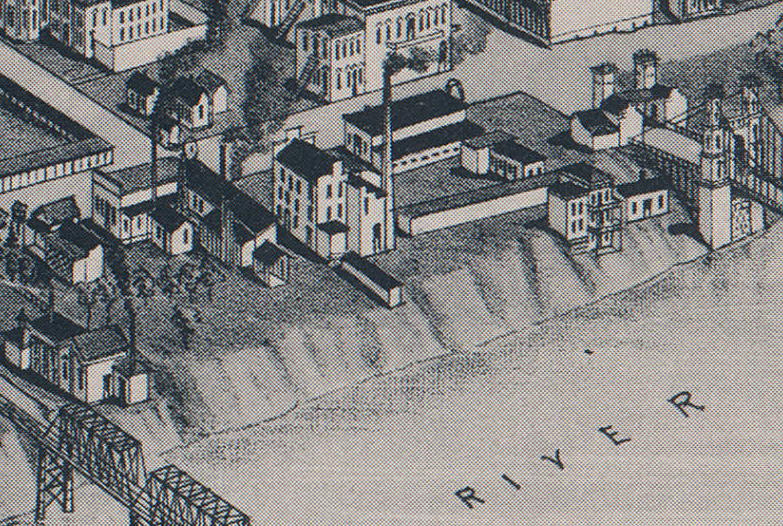 It was known as the Waco Riverside Foundry & Machine Shop. 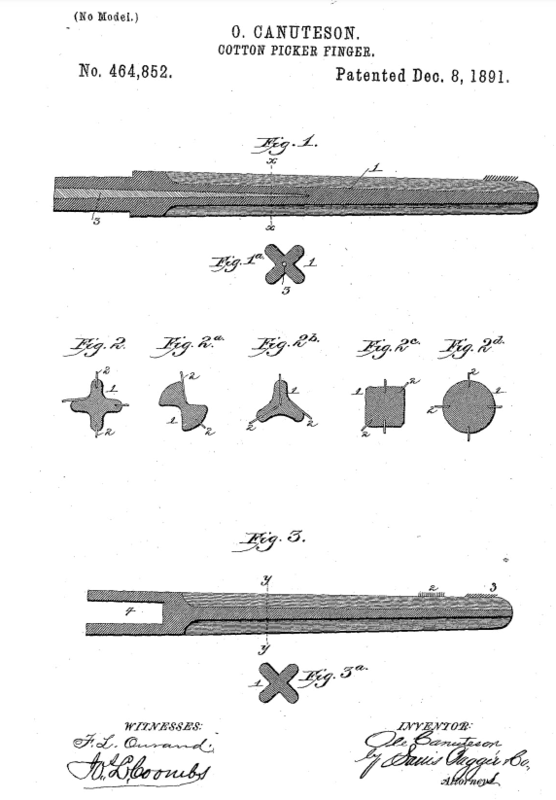 Canuteson’s innovations led to a collection of patents being filed with the U.S. Patent Office. He also began to use some of his machines to cast facades for large buildings around the city and elsewhere. By 1900, the Norse community founded by Canuteson had grown to being the largest settlement of Norwegians west of the Mississippi River. Eventually, it was mostly absorbed by the town of Clifton but you can still find old buildings and churches that belonged to Norse and Norway Mills. Canuteson was the second person to purchase an automobile in McLennan County. 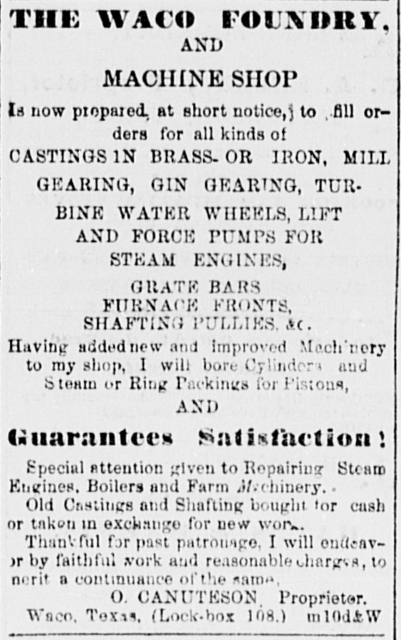 Also in 1900, Canuteson’s grandson, Charles Durie, began working for him at the Foundry. Durie later became Master of Waco Lodge. Ole Canuteson himself affiliated as a member of Waco Lodge 92 on February 19, 1909. Canuteson died November 6, 1920.